Many people are understandably hesitant to borrow money. Any loan is a serious commitment, and should not be entered into lightly. Having said that, student loans are often necessary to make it possible for a young person to fulfill their college dreams. Luckily, student loans often offer special terms and provisions that make them a more affordable and manageable commitment for young college-bound students. Most student loans offer lower interest rates, deferred payment options and a repayment grace period following graduation. Student borrowers can also take advantage of more lenient repayment plans and schedules that are exclusive to education loans, and unlike the more restrictive terms and conditions of a standard loan. Student education loans offer a greater flexibility, and more manageable terms and conditions than standard non-education loans. Both Federal and private lenders understand the requirements of a college career, and strive to make education loans easier to manage for the student borrower. Federal loans are by far the most flexible of education loans, and give students the chance to borrow much needed college funds at very attractive terms. Federal loans are decided according to financial need, and nearly all college-bound students will find themselves eligible for some form of government loan. Federally sponsored programs like the Stafford Loan and the Perkins Loan, offer low fixed interest rates as well as deferred payment options students currently enrolled in college. The Federal Direct Stafford Loan is a particularly attractive program, as it offers a subsidized option to qualifying borrowers. With a subsidized Stafford Loan, the Federal government will pay all accrued interest on the loan for as long as the student remains enrolled in college. Private lender student loans can not be as flexible as their Federal counterparts, but they still offer greater benefits than a standard non-education loan. Private loans are decided according to an applicants credit history, and for most students this will mean the services of a cosigner, or co-borrower. Usually a parent or legal guardian. Having a cosigner serves two useful purposes. It allows the student to secure a loan at lower interest rates and better repayment terms, and gives him or her the opportunity to build a solid credit history of their own. Private lender student loans will usually offer lower interest rates than traditional loans, and will include loan deferments to allow students to postpone repayment until after graduation. Keep in mind that interest continues to accrue on all private student loans during any deferment period. 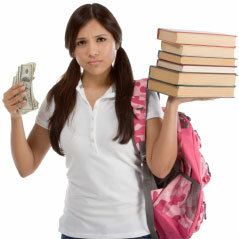 Borrowing directly from a lender that specializes in student loans offers distinct benefits as well. Student loan providers tailor their products and services especially for college students, and build loan packages designed specifically for their student borrowers. Private student loans for undergraduates and graduates often come bundled with hidden fees. In many instances, a private lending organization will offer discounted fees as a way of attracting borrowers. Origination fees and early repayment penalties will often be waived entirely by some banks and student lending organizations, according to a student borrowers qualifications. Federal Family Education Loans and Federal Direct Loans do not allow for any customization. These Federal loan programs are administered according to a strict set of regulations that ensure all student borrowers are treated alike. 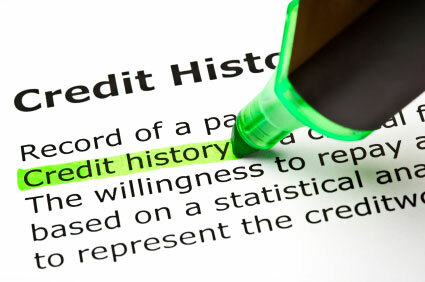 Federal loans have no origination fees, and often have no penalties for early repayment. Federal student loans offer all applicants a low fixed interest rate. These rates do not fluctuate over the life of the loan, and are generally the lowest rates possible for an education loan. College-bound students should look to Federal loan programs first in their search for college financial aid to secure the most attractive and manageable loan agreements. Private lender loans will offer varying interest rates, depending upon the lender and the individual loan agreement. As all private loans are predicated on a borrowers credit score, private lenders set interest rates accordingly and the better the credit history, the lower the interest rate. Student borrowers can help reduce the interest rate on their loans by employing a cosigner with a good credit history. Good repayment practices can also lead to the reduction of interest rates over the life of a student's loan. Subsidized student loans are only available from the Federal government, and only for students who meet the required financial need as determined by the FAFSA. The Federal Direct Stafford Loan offers eligible borrowers a subsidized version of their standard loan package, in which the government will pay all accruing interest on the loan principle for as long as the student remains enrolled in an accredited university. While private lender loans offer a number of borrower incentives and benefits, none can compete with a subsidized Federal Stafford loan. Most banks and private lending organizations will offer borrower incentives as a way to attract business. Education loans are often a prime target of these incentive plans, and can help student borrowers save much needed money when applying for and securing a private lender loan. Reduced interest rates when borrowers enroll in automatic payment plans. Many lenders offer discounted interest rates when borrowers opt to have loan payments electronically deducted from their checking accounts. Interest rate reductions for borrowers who have made complete and timely payments over a predetermined period of time. Reduced interest rates for borrowers with cosigners. Cosigner release may be available after borrower has made a number of on time payments. No penalties or fees for early repayment. For many students an education loan will be their first major financial transaction. While taking out a student loan may seem a daunting prospect, it is also the perfect opportunity to begin to build a solid credit history. Whether it is a Federal loan or a private lender loan, whether engaging a cosigner or flying solo, a college loan is the beginning of many students' financial history. By keeping up to date on all college loan payments a student can begin to lay the foundation of a good credit score, which will prove greatly beneficial in later life. College is an expensive undertaking, and most students will need to consider an eduction loan of some sort to help meet their total costs of attendance. When considering any education loan, either from the Federal government or a private lender, always read the fine print. Do the necessary research, weigh up the advantages and disadvantages and never sign any agreement until you are sure you understand, and are comfortable with, all the details of your education loan.